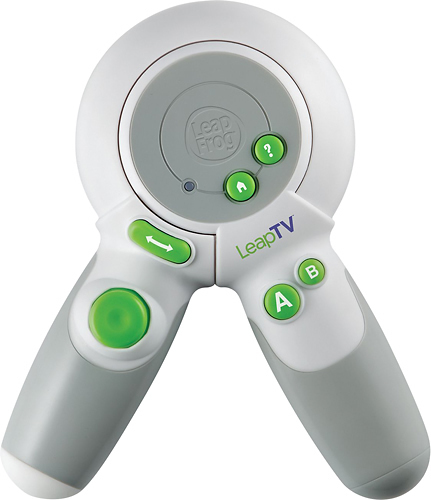 We found 9 open box, clearance, and sales items from LeapFrog - Open Box - LeapTV Transforming Controller - White. 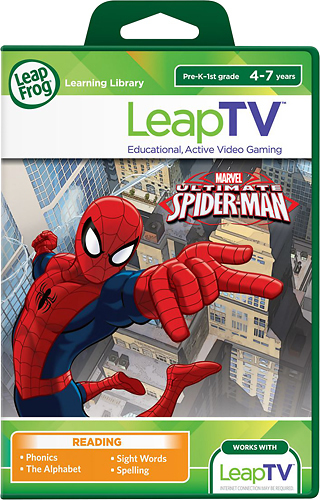 We found 7 open box, clearance, and sales items from LeapFrog - Open Box - LeapTV Ultimate Spider-Man Video Game - Multi. 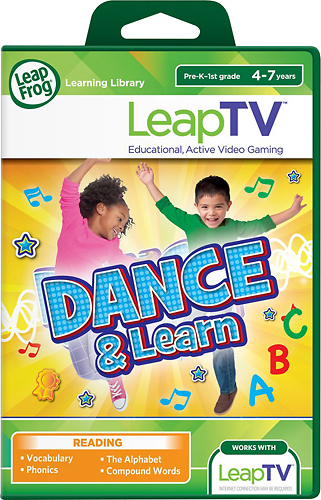 We found 4 open box, clearance, and sales items from LeapFrog - Open Box - LeapTV Dance! Video Game - Multi. 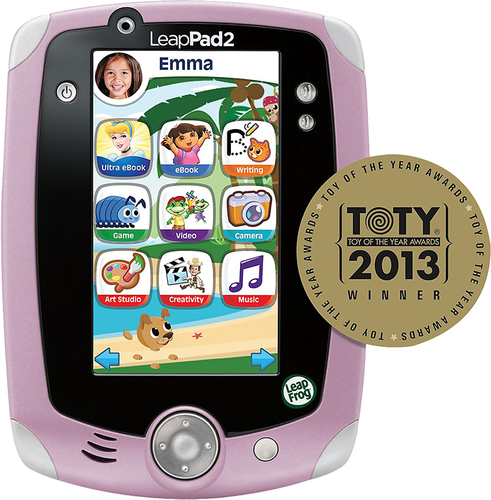 We found 4 open box, clearance, and sales items from LeapFrog - Open Box - LeapPad2 Explorer Tablet with 4GB Memory - Pink. 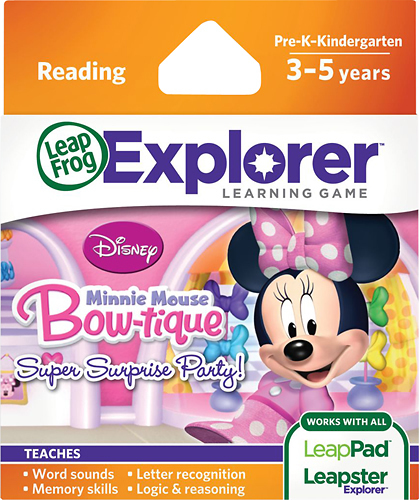 We found 1 open box, clearance, and sales items from LeapFrog - Open Box - Disney Minnie Mouse Bow-tique Super Surprise Party Game Cartridge for Select LeapFrog Devices - Multi. 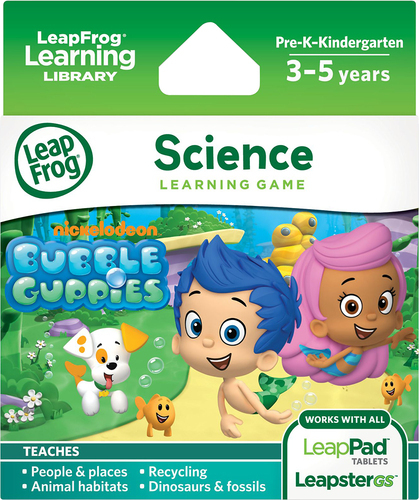 We found 9 open box, clearance, and sales items from LeapFrog - Open Box - Nickelodeon Bubble Guppies Learning Game for Select LeapFrog Devices - Multi. 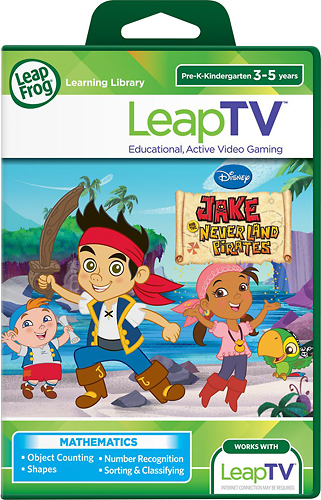 We found 2 open box, clearance, and sales items from LeapFrog - Open Box - LeapTV Disney Jack and the Never Land Pirates Video Game - Multi. 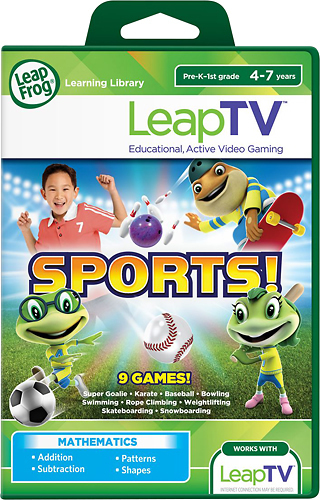 We found 4 open box, clearance, and sales items from LeapFrog - Open Box - LeapTV Sports! Video Game - Multi. 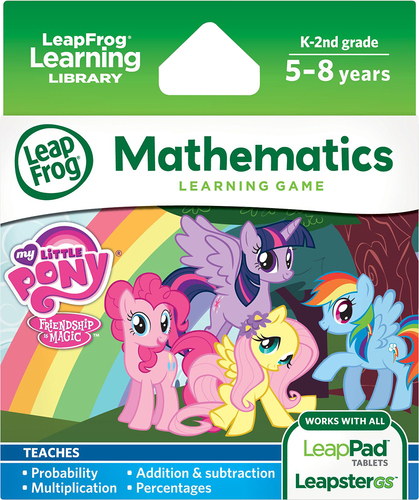 We found 1 open box, clearance, and sales items from LeapFrog - Open Box - Hasbro My Little Pony Friendship is Magic Learning Game - Multi. 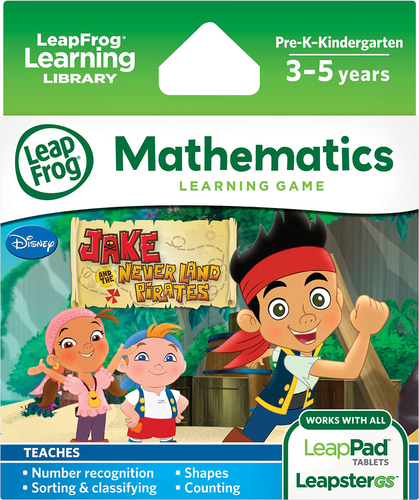 We found 1 open box, clearance, and sales items from LeapFrog - Open Box - Explorer Disney Jake and the Never Land Pirates Game Cartridge - Multi.